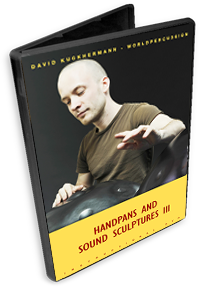 DVD number 3 of the Handpans and Sound Sculpture series. – odd metre rhythms in various feels and subdivisions. Starting from the very basic rhythm structure and developing complex variations.